It’s an exciting time to start a fintech business. Although there are many unicorns and emerging startups in the fintech industry, the market is not yet saturated. The ever-growing investment in fintech shows that there a lot of opportunities for both the industry newcomers and established business. However, if you want to succeed in fintech business by 2017, you must hit upon these special startup ideas. 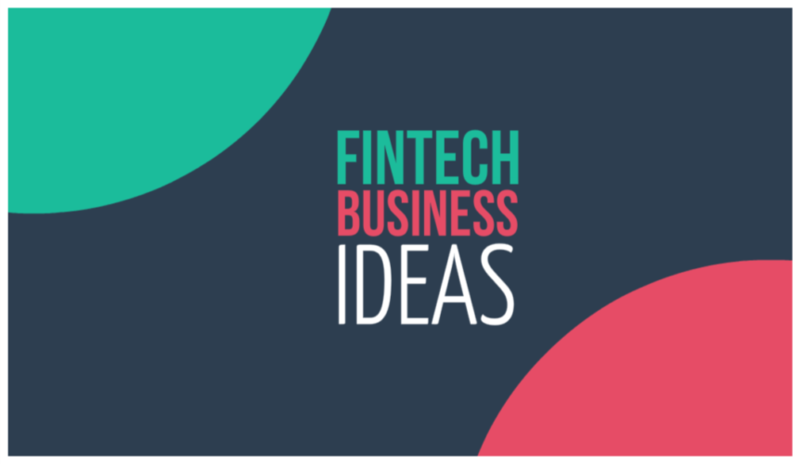 With over $31.6 billion of investment in the United States, over $5.4 billion in the UK and over $49.7 billion invested globally, fintech is among the hottest technology sectors. Both accomplished players like PayPal, Square, or Intuit, and disruptive startups like Robinhood or Kabbage are reshaping financial industry. If you are thinking about starting a business in financial technology, your startup ideas should find a place in the following potentially promising areas. 1) Personal finance and banking (this includes mobile/ online banking, financial planning, wealth/asset management, and automatic budgeting). 2) Mobile transfer and payments (technology that allows cheaper, more convenient and faster money transfer). Due to the exponential growth of the mCommerce and eCommerce, it is predicted that more than 5 billion will be using their smartphones to make payments by 2019. 3) Peer-to-peer lending and microfinance (P2P lending platforms, consumer lending, small business microfinancing, loan marketplaces). The lending and loan market is highly promising and is expected to reach over $1 trillion by 2025. Your startup ideas should solve a consumer or business problem. For instance, people do not want to visit banks anymore, instead, they wish all banking services come to them. There are a lot of problems on which you should base your startup ideas. First, if your startup ideas focus on instant fulfillment, your fintech business is most likely to succeed. Hardly banking services can be delivered instantly. In many countries, a turnaround for credit is over four days, business finance- 5 days, trade finance product- 2 weeks, personal finance- 2 days and the list goes on. Secondly, corporate are carrying out the most sophisticated transactions such as short term financing, a LC issuance, syndication, and others. All these transactions are paper, resource, and time intensive which requires new ideas. Thirdly, SME is still struggling with banks in many countries. Integrating them with right partners like trading and logistics companies will make them operate well. Various banks still operate with them in a traditional way. This might be a fertile area for your idea, right? Lastly, your startup ideas should solve problems in trading. Trading is a very complex space. Many fintech entrepreneurs have only explored the basic trading ecosystems. They have not tackled the problem that comes with exotic trading products like profit swaps, options etc. In conclusion, all the above-mentioned opportunities are open for innovations. As technology advances and regulators start to support fintech, do not be left out, 2017 could be your year of success with fintech. Get your startup idea and put it into action.